DARK TOURISM UK. GLOUCESTERSHIRE’S EVIL & ALLEGED SATANIC SERIAL KILLERS, FRED & ROSE WEST ARE FEATURED HERE ALONG WITH MUCH MORE TRUE CRIME, MURDERABILIA, MAIMERABILIA & DISMALABILIA, AT THE CRIME THROUGH TIME COLLECTION, LITTLEDEAN JAIL …. 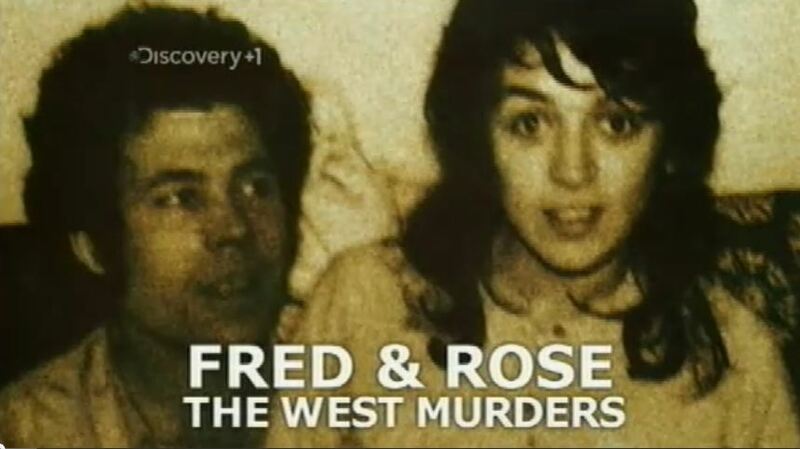 AS AN INTRODUCTION AND BACKGROUND INSIGHT INTO THE LIVES OF FRED AND ROSE WEST HERE IS SOME INTERACTIVE , VERY DISTURBING , THOUGH VERY INTERESTING DOCUMENTARY FOOTAGE ON THE NOTORIOUS BRITISH SERIAL KILLERS . HERE TOO ARE SOME IMAGES OF VARIOUS PERSONAL ITEMS THAT BELONGED TO THEM BOTH, INCLUDING VARIOUS SIGNED EPHEMERA AND DOCUMENTATION, WHICH ARE HERE ON DISPLAY IN AMONGST OUR TRUE CRIME AND MURDERABILIA COLLECTIONS. ABOVE: ORIGINAL POLICE MUGSHOT OF FRED WEST. BELOW ORIGINAL OIL PAINTING BY PAUL BRIDGMAN DEPICTING FRED WEST . ABOVE AND BELOW: Fred and Rose West with their family pictured at their daughter Anne-Marie’s wedding . Below : A brief gallery showing a various array of whips belonging to the sexually sadistic and evil serial killers Fred and Rose west . For the record these were removed from their family home at 25 Cromwell Street, Gloucester along with various other personally owned, used and worn paraphernalia. All of which have long been on display at The Crime Through Time Collection , now at Littledean jail . THE INFAMOUS HANDMADE SIGN AT THE ENTERANCE TO 25 CROMWELL STREET , PURPORTED TO HAVE BEEN MADE BY FRED WEST AND NOW APPARANTLY DESTROYED . THESE ARE GENUINE SET OF KEYS FOR 25 CROMWELL STREET . Handwriten and signed letter from Rose West sent whilst in prison . Front of With Sympathy card given to Rose’s close friend and neighbour Margaretta Dix who lived opposite the West’s at 28 Cromwell Street. This being after the sudden death of her husband Charlie , aged 64 back in 1992 . He suffered a fatal heart attack in the family bathroom . Margaretta called on the Wests for help , Fred tried to save him , whilst awaiting ambulance. This is documented in various books and articles relating to the later Rose West trial . This card was kindly sourced from the Dix Family and is now on display at the Crime Through Time Collection , along with various other related material . of With Sympathy card given to Rose’s close friend and neighbour Margaretta Dix who lived opposite the West’s at 28 Cromwell Street. This being after the sudden death of her husband Charlie , aged 64 back in 1992 . He suffered a fatal heart attack in the family bathroom . Margaretta called on the Wests for help , Fred tried to save him , whilst awaiting ambulance. This is documented in various books and articles relating to the later Rose West trial . This card was kindly sourced from the Dix Family and is now on display at the Crime Through Time Collection , along with various other related material . Handwritten and signed by Rose west inset page of With Sympathy card given to Rose’s close friend and neighbour Margaretta Dix who lived opposite the West’s at 28 Cromwell Street. This being after the sudden death of her husband Charlie , aged 64 back in 1992 . He suffered a fatal heart attack in the family bathroom . Margaretta called on the Wests for help , Fred tried to save him , whilst awaiting ambulance. This is documented in various books and articles relating to the later Rose West trial . This card was kindly sourced from the Dix Family and is now on display at the Crime Through Time Collection , along with various other related material . The card is signed by Rose West as Mum and Dad whilst Fred and Rose were away on holiday . The postcard depict images of the Cheshire Ring , however the postmark clearly shows that it was posted 14 October 1990 with a Wye Valley , Gloucestershire postal stamp !!! This image depicts Fred West’s spade and fork which he used during the burials of his victims at various locations including Cromwell St and other locations around the County of Gloucestershire . He would use the spade to also remove the fingers and toes of his victims , as is well documented . These tools came from 25 Cromwell St along with various other personal items owned , used and worn by Fred and Rose. All of which are on display here at The Crime Through Time Collection , Littledean Jail . HERE ARE PARTS 1-3 OF THIS “MUST SEE”….VERY IN DEPTH INTERACTIVE (WITH OUR CRIME THROUGH TIME COLLECTIONS HERE AT LITTLEDEAN JAIL) REMARKABLE THOUGH VERY DISTURBING…. DOCUMENTARY FOOTAGE INTO THE LIVES AND CRIMES OF FRED AND ROSE WEST. INCLUDING ROSE WEST PROSTITUTING HERSELF AT HOME AT 25 CROMWELL STREET , GLOUCESTER . VIDEOED BY HER HUSBAND FRED WEST AND POLICE INTERVIEW TAPE RECORDINGS WITH FRED AND ROSE WEST . WARNING…. PLEASE DO BE AWARE THAT A LOT OF THE FOOTAGE ON THIS POST (AND THE OTHER PARTS (4-9) BELOW) , CONTAIN VERY DISTURBING MATERIAL . DO COME VISIT THE CRIME THROUGH TIME COLLECTION HERE AT LITTLEDEAN JAIL AND SEE OUR EXTENSIVE AND DIVERSE PRIVATE COLLECTION OF TRUE CRIME MURDERABILIA , MEMORABILIA , THE TABOO AND MUCH MUCH MORE .